Facebook app download patterns display a distinct "herding instinct" amongst users on Mark Zuckerberg's massively popular online social network. The sheep-like behaviour of Facebook users was outlined in a new study of the download rates of a set of apps for Facebook. The authors of the research in PNAS (Proceedings of the National Academy of Sciences in the US) describe the nature of what they call the "spontaneous emergence of social influence in online systems." The research shows that apps advertised to the Facebook community grew fairly slowly in popularity. However, when a specific app or game reaches a certain level of "popularity threshold" then downloads began to skyrocket. 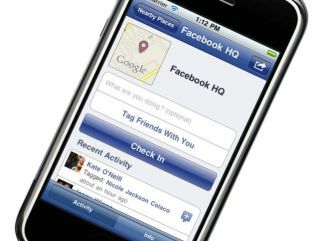 The study is based on data gathered in mid-2007, at a time when Facebook had 2,720 apps and 50 million users. Researchers Jukka-Pekka Onnela and Felix Reed-Tsochas looked at anonymised data relating to the downloading of all the apps over 50 days. "The surprising finding is that two qualitatively different behavioural patterns emerged," Dr Onnela told the BBC. "There appeared to be a threshold of popularity, and users only seemed to be influenced by the choices of others for apps lying above this threshold. "Social influence is strongly present in online cultural consumption but, at least in this case, only for a subset of products."